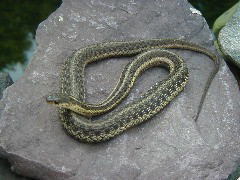 1 Snakes are a kind of reptile. Snakes scare a lot of people. Some people do not like the way that they look. Other people are afraid that a snake will bite them. The truth is that snakes are probably afraid of us, too! Most snakes will not hurt you unless you scare them.